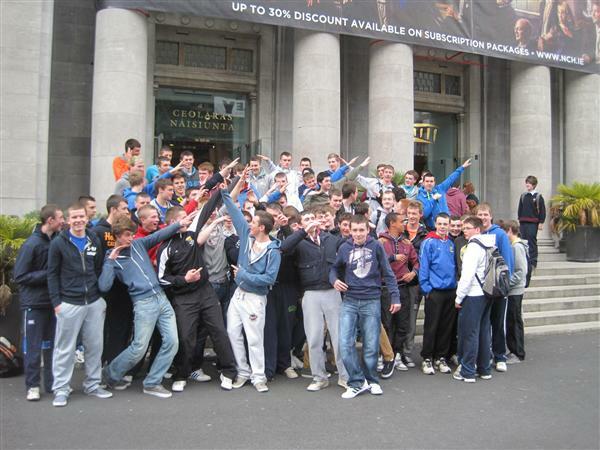 Transition Years outside the National Concert Hall. The last few weeks have been very busy in a number of respects not least with the Leaving Certificate Oral exams taking place. For the students concerned it is one more element taken care of with, hopefully, good marks banked. 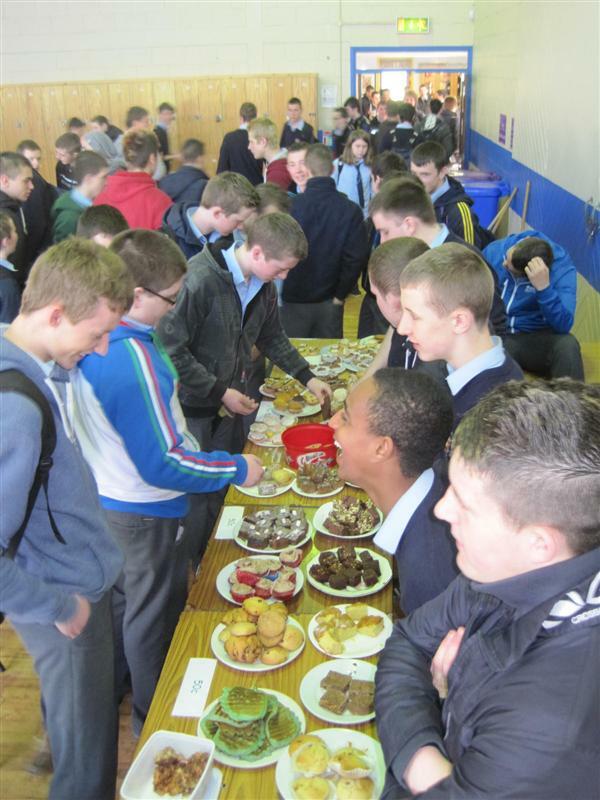 The TY group have been very active recently with a charity bake sale, a visit to the National Concert Hall and film making among the projects they have undertaken. 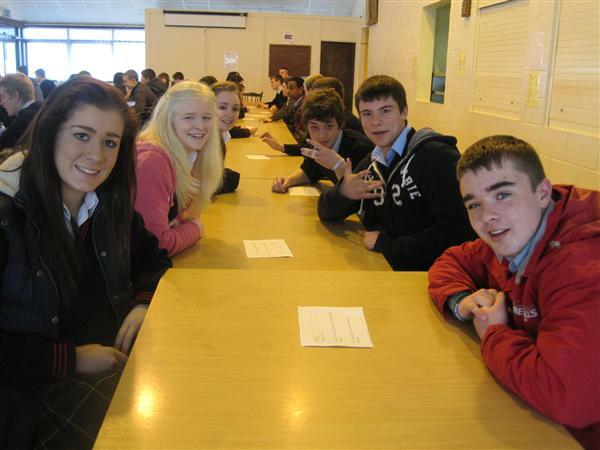 5th year students welcome the girls from Coláiste Bríde, Enniscorthy for a morning of Speed Dating ‘trí ngaeilge’. I trust ”an d’tagann tú anseo go minic?’ was among the chat up lines. Well done to the Irish department for an interesting initiative. The 6th Year Graduation mass takes place in the college sports hall on Sunday May 12. 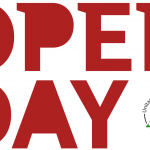 All 6th year students and their parents will be invited to attend what is always a very pleasant and memorable occasion. Their will of course be refreshments in the college dining room afterwards. Well done to the track and field team who took gold in the Junior Boys 200m walk and the Junior boys high jump at the South Leinster finals during the wweek. Joe Mooney and Ryan Carthy Walsh now go on to the Leinster Finals next week where they will hopefully be joined by some of our senior boys. 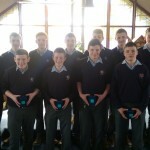 Best of luck also to the U-14 hurlers who take on Birr C.S. 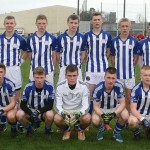 in the Leinster semi final on Friday as they bid to retain their title.